Do you want to co-create Games for Good? Join us and Common Play With Us! Do you want to let your creativity run free and contribute to a better world at the same time? Come to the game night where next to playing games, we will also pay attention to creating new ones: Games for Good. 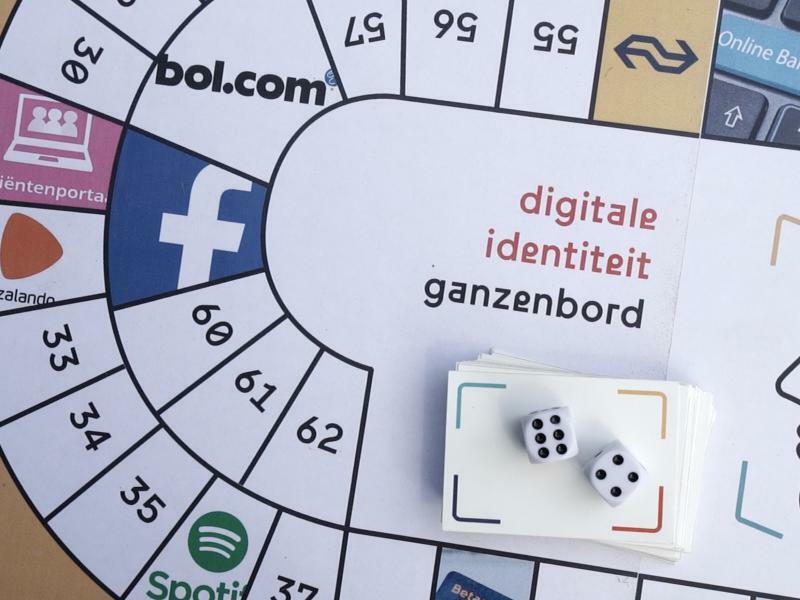 In March, Waag organized a game night in which both the enthusiasm of the participants and the potential of serious games became clear. Serious games are a good means of making social themes tangible, and that gave us the idea of ​​creating serious games together with kindred spirits. In the end, we want to make the games available under the Creative Commons license: online and for free. The commons philosophy is central to the games that we are currently working on. We will work together on games that revolve around sustainability, community and public values. One of the games that we take as the starting point for this session is the Digital Identity Ganzenbord. The game was initially intended as a “conversation starter” and we would very much like to make it a fun and exciting game that can also be played in a different setting. Think of schools for example, or a homely setting. The right fit for when you want to have a critical discussion with your parents or friends. Another example of a game to which we want to add other content and game-goals is Pandemic. If you have other ideas about games with potential, then you should come too! English is spoken during this event (but not exclusively). There are limited places available for this game night. Buy a ticket via the link above. Admission is € 5, including a drink. Commons are shared resources, managed by a community from the perspective of sustainability, inclusiveness and public added value. They offer room for bottom-up initiative and citizens’ own directing. In the Commons Lab, Waag generates insight into contemporary commons and brings new forms of commons into practice. Co-operation is central: organizing a shared and balanced interest between different parties. Creative Commons tools help to share your work. These free, easy-to-use copyright licenses provide a simple, standardised way to give your permission to share and use your creative work — on conditions of your choice. Waag uses them for all creative work of course, but hey, we were one of the parties that introduced them in The Netherlands in 2004.